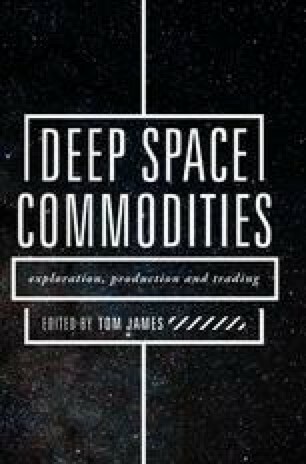 If and when interplanetary and interstellar trade develops, it will be novel in two respects. First, the distances and time spans involved will reduce all or nearly all trade to the exchange of intangible goods. That threatens the possibility of conducting business in a genuinely common currency and of enforcing debt agreements incurred by governments. Second, interstellar trade suggests trade between humans and aliens. Cultural distance is a probable obstacle to initiating and sustaining such trade. Such exchange also threatens the release of new and dangerous memes. Encountering extraterrestrial alien civilizations and colonizing other worlds are amongst the most powerful and enduring ambitions of space exploration. Realizing either of these objectives implicates the possibility of trade over the vast distances of outer space.